Over 20 years after his death, what is the enduring appeal of Kurt Cobain? Does it speak of the anodyne, characterless musical landscape du jour that we are still so enamoured with his rise and fall? Or is it simply down to appreciation of a musical visionary? Alternatively, is it the gruesome romance of suicide; the garish, tragic apex of that stereotyped notion of the tortured artist? Or a complex compound of the two? Presented as a HBO production, Montage of Heck is the latest in a substantial line of documentaries to look into the late icon’s life. 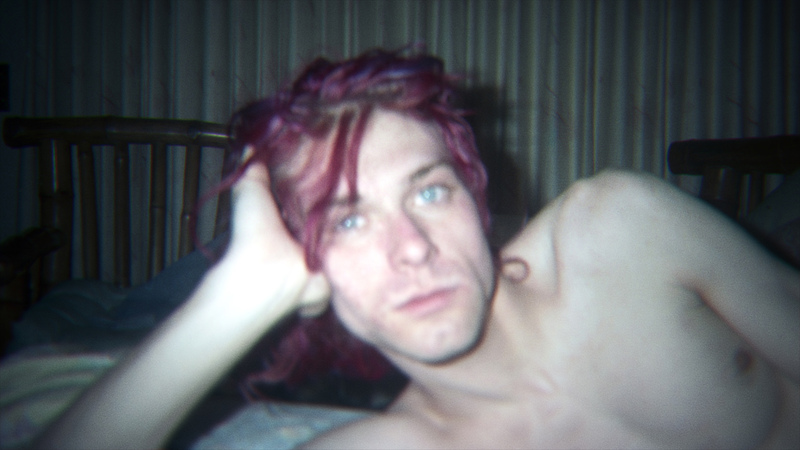 Rather than the probing, but ultimately unauthorised, illegitimate and dissatisfying Nick Broomfield doc Kurt & Courtney, director Brett Morgen’s film secures a modicum of legitimacy due to the calibre of its witnesses and previously unseen video footage. It is a film that is ghoulish, schizophrenic and chaotic. As the follow up to his jumbled and only partially successful 2013 Rolling Stones film Crossfire Hurricane, Morgen’s latest suffers from similar failings. Clocking in at a considerable 132 minutes, he certainly hasn’t scrimped on detail. Most of the main players in the Kurt story are present and (depending on perception) correct, bar one notable absentee in the form of Dave Grohl. Interest is undeniably piqued upon hearing testimony from his mother and father, alongside Krist Novoselic and former girlfriends, which include the ever candid Courtney Love. They offer a window into the teenage and adult Cobain like never before. Montage of Heck is sprawling and undisciplined. For a band whose catalogue only contains one song that ends on a fade out (see if you can work out which one it is), this is the antithesis of their focused, no-frills ethos. At times, it is too digressive and takes those digressive turns in the wrong places. If Kurt’s notes portray concern at violation, then he would be horrified by this work. It is guilty of raiding, ransacking and violating his personal, private moments whilst his corpse gathers dust. You may not need to see Montage of Heck to have formed the opinion that the Love/Cobain relationship was toxic. You can read enough articles to construct that opinion vicariously. However, to see the home video footage is to really ram the point home. 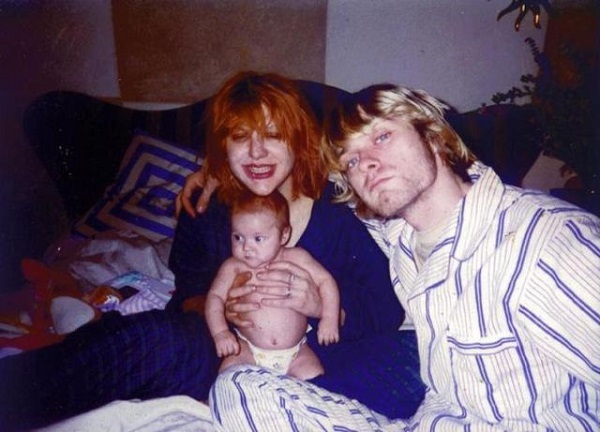 As Courtney openly confesses her heroin consumption during her pregnancy, she also recounts how Kurt stated, ‘I’m going to get to $3m and then become a junkie’. It is all rather sad, and it is the Love material that makes matters particularly uncomfortable, as this slide towards the abyss gathers pace. It takes a strong stomach not to squirm at the footage of Kurt and Courtney kissing in extreme close-up or wallowing around in the narcotic den that formed their home; blissfully out of their not so pretty (at the time) heads in a druggy haze. Such intimate and frequently unflattering moments are dredged up time and time again. It is increasingly disquieting to witness and exacerbates the feeling that the audience is being subjected to a voyeuristic trip that feels improper; like a Peeping Tom. It isn’t all negative though. 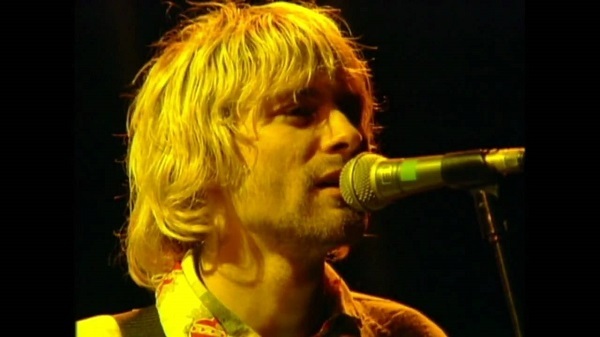 Aside from clips of the familiar (for example, the blistering Reading festival headline performance from 1992), what could have been presented as a whisper of a memory from friends and relatives, is frequently enhanced by the drawings, audio clips and super 8 home video footage (which, for better, or the worse as outlined above, is a treasure trove). It is worth checking out the fleeting sound check footage that hints at the historical lack of love lost between Dave Grohl and Love. It is fascinating. Montage of Heck, for all of its faults, represents another coup for a filmmaker who is making a habit of securing great access to the great and the good within the hallowed halls of rock history. The debate can rage on as to whether the world needed to peel the curtain behind the public persona of Cobain as it does here. Maybe the elusive enigma that hitherto prompted endless conjecture on the ‘whys’ and ‘hows’ on his suicide benefited from a lack of video disclosure. Instead of conjuring nostalgia and sadness, the film – either intentionally or not – pops the bubble of romance and shows the dark(est) underbelly of this musical giant. This entry was posted on 08/02/2015 by toomuchnoiseblog in Reviews and tagged berlinale, brett morgen, courtney love, dave grohl, Documentary, drugs, Greg Wetherall, grunge, heroin, krist novoselic, Kurt Cobain, montage of heck, mtv, music, nirvana.